Baby size: 39" x 45"
Crib size: 45" X 52"
Twin/Lap size: 64" X 83"
Queen size: 89" X 108"
King size: 109" X 109"
This pattern is perfect for using 5" charms! OR you can cut your own. The amount to cut is in the pattern. 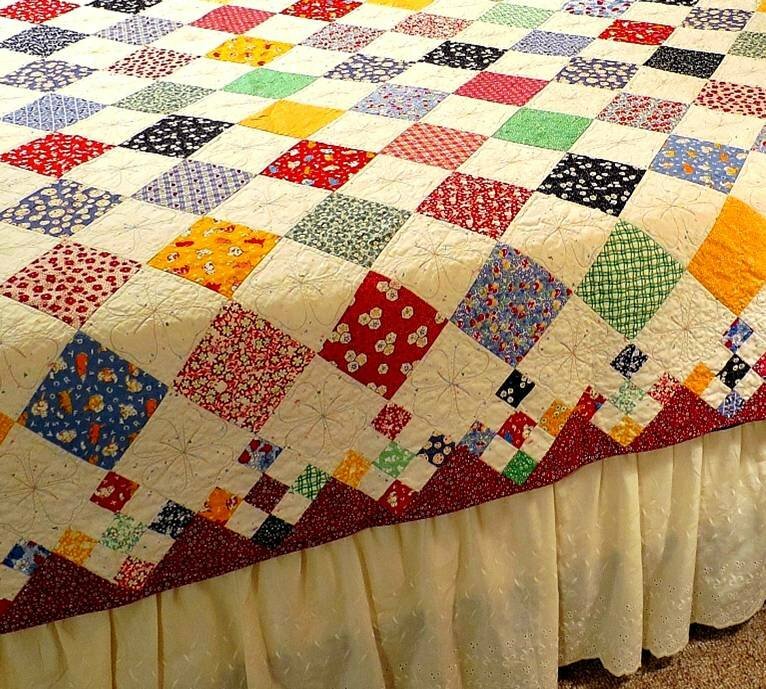 This quilt was made with 30's reproduction fabrics, but it looks great in other colors also.